Due to the rising property prices and the limited supply of houses and apartments, the North Colorado real estate market is getting hotter and hotter. 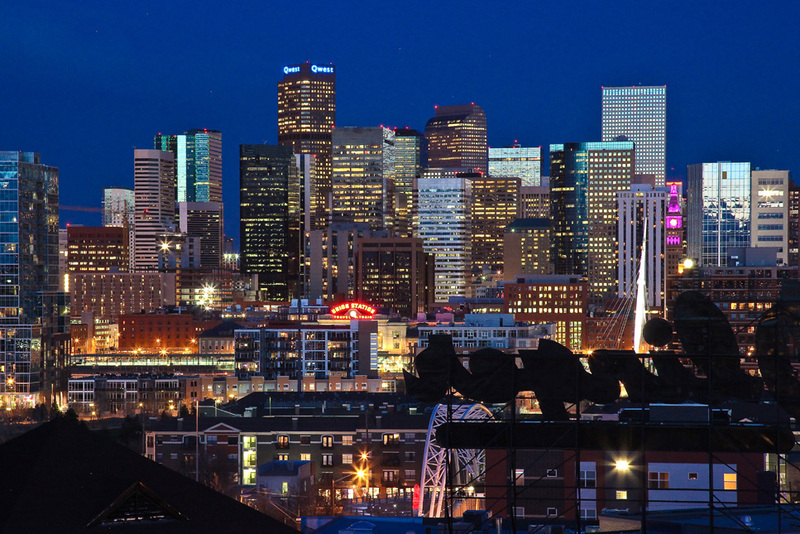 Experts predict that in 2016 home prices will continue to rise in the state’s most dynamic cities: Denver, Loveland and Forth Collins. This is certainly excellent news for realtors who are looking to boost their profits by investing in booming real estate market at home as opposite to Australia, some Eastern Europe properties, South America or other exotic real estate markets. North Colorado has one of the healthiest economies in USA and offers a wide and diversified job sector to locals and people who are moving here. This is the engine of its real estate growth. Experts consider that every investment made in the red-hot market (Denver, Fort Collins and Loveland) is a sure bet. For instance, in 2016 the average sale price of a single-family house in Loveland is estimated to reach $338,000 and in Fort Collins the same type of property will cost over $388,000. Of course, what might sound like terrific news for investors represents a real disaster for the mid-class people who are trying to buy a house and can’t afford the staggering prices asked by the sellers. Still, the high property costs are a natural consequence of the limited supply. For the past five years the number of new home projects has been rising, but it still represents only half of what realtors were building in 2004 and 2005, during the real estate boom. Now investors are more reserved in starting new residential projects because the costs are considerably higher. In Loveland and Fort Collins the price of scarce land is raising rapidly, the permits and water fees are over the top and the labor also adds up to these high costs. In the end, the developers deliver a price that is more than what the buyer affords paying. Basically, only 49% of the new properties cost less than $400,000 and 74% of the sales in Fort Collins and Loveland are for houses priced at less than $400,000. Typically, the most affordable and practical option for buyers in North Colorado is represented by condominiums which before 2007 used to occupy 30% of the new-build homes segment, but due to a new law now only 3% of the new housing projects in the state are condos. In 2015, in the cities of Loveland and Berthoud 650 new homes were built while in Fort Collins and Timnath there were 617. Real estate experts predict that in the next couple of years, Berthoud’s real estate market will take off so this is definitely a location where investors should keep a close eye on. Also, since 1978 North Colorado has had an annual home price growth of 5%. Forecasts say that over the next 10 years the prices will rise about 5.5% every year which, for example, in Fort Collins will determine an average property price of $550,000. Due to the low supply, there is a strong biding competition between prospective buyers. In a normal real estate market, a property sells for 94% of what the sellers asks, but in North Colorado’s red-hot market the average is 100% or even higher during spring and summer. The housing affordability index for North Colorado has dropped by almost 13% within the last couple years as homes in the area are becoming less affordable to the middle class. This fast-growing residential market is rapidly pricing out more and more people. In 2015, the affordability index was 142% for North Colorado whereas only two years earlier it was 154%. An index level over 100% shows that the medium family income is over the minimum income necessary for affording a medium priced property considering the available interest rates. In conclusion, a higher index means more affordable houses. Fort Collins is one of the most favored cities in North Colorado when it comes to investing in real estate as every year there are more new residents coming here to enroll at the Colorado State University in Fort Collins or to get hired by one of the numerous recovering businesses. These new arriving residents mean more existing renters and prospect buyers. This is the reason why even though the average income and home prices vary in most parts of North Colorado, in Fort Collins it has a positive evolution. In 2015, the medium property price was $388,000 compared to $261,000 about two years ago. Basically, the average home price in this city has increased by 6% from 2012 to 2015 while in 2011 and 2012 the growth was just 3%. The real catalyst for the property price growth is the low supply of homes in North Colorado. The population is continuously growing; the job sector is expanding rapidly due to investments in the technology and energy industry and the new housing projects are simply not enough to satisfy the demand. 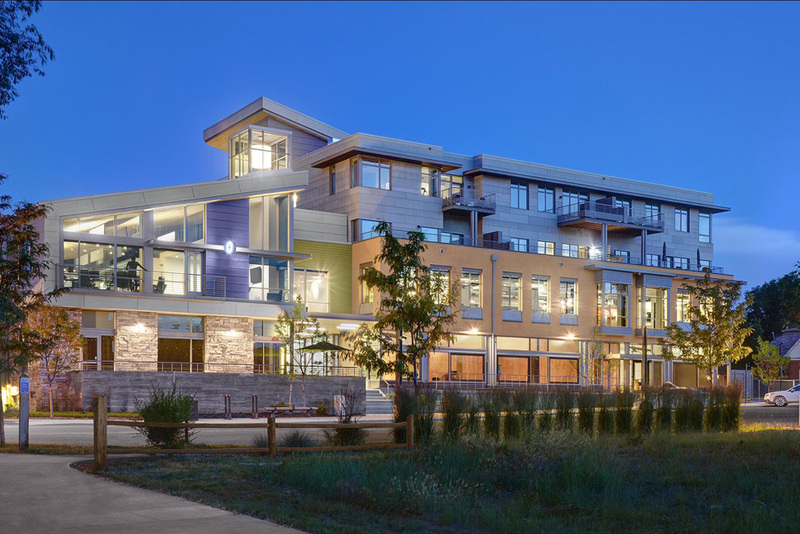 The current North Colorado real estate market needs smart projects focused on offering affordable and comfortable homes, such as multi-family projects, smaller homes and duplexes. In a market where the average rent is comparable to a mortgage payment, more and more people are considering purchasing a home. The problems are the low vacancy rates and the fact that newly constructed properties are more expensive by the day. The market needs more new housing projects that are cost effective and able to meet the price that the mid-class affords paying. Greeley is one of the cities in North Colorado where home prices are still pretty attractive for buyers. The city is quickly recovering from the recession. Its healthy economy attracts a large number of residents that are looking to settle down and possibly buy a home as here there still are some of the most affordable homes in the state. North Colorado is anything but a balanced real estate market. Its continuous changes in home prices tend to favor the seller. Any balanced market should have the same level of property prices for six-months. If the price level grows after less than six months than the market favors the sellers and if it grows after more than six months then it favors the buyers. In March 2015, Denver had only 1.2 months of constant home prices of about $300,000 when properties were sold in less than a week after the seller got multiple bids. By contrast, during the same period, homes in Southwest Colorado took 190 days to sell. The investors have become more cautious and calculated on the North Colorado real estate market. Even though the home supply is tighter than ever they don’t rush into a new building boom. The new house projects are carefully planned ahead and designed to keep the prices up, hence keep the control of the market into the seller’s hands. The constantly rising price of houses in North Colorado has generated a new trend among locals. More and more residents are deciding to move in areas where prices are lower. They either sell their staggering priced house, buy a new one for less in a more affordable city and save the difference, or give up paying the high rent and decide to move in rural areas where the costs are lower. 2015 ended with high prices and large sales volumes in the northern part of the state. 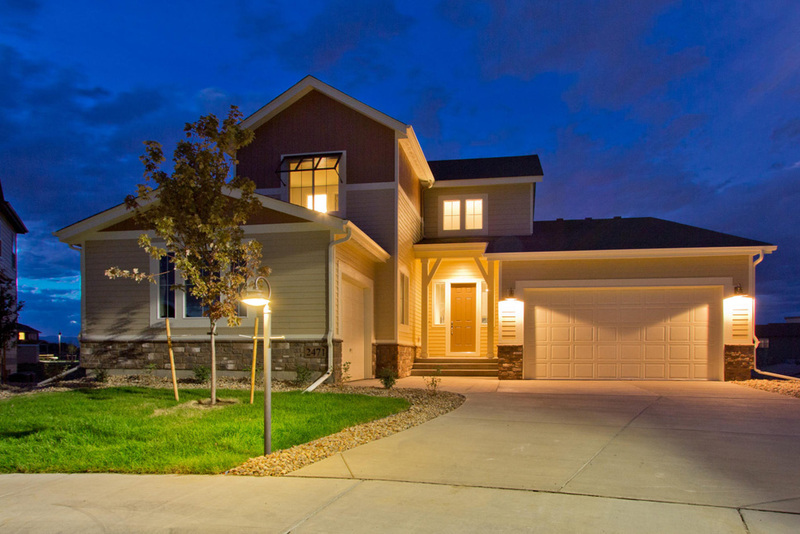 For instance, in Fort Collins the average sales prices increased by 8% while the sales volume went up by 27%. Also, the inventory for single family detached homes decreased to 1 month, one of the lowest values within recent years. 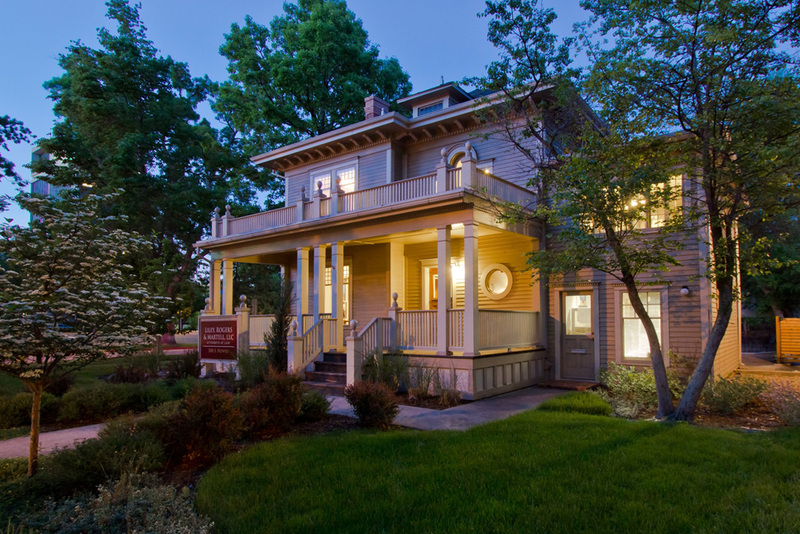 With properties that cost about $350,000, Fort Collins is certainly a seller’s market. Similarly, Windsor had a 1.9 months inventory level and Greeley showed an average sales price increase of 17%. North Colorado is one of the most favorable areas in USA for generating large profits from real estate investments. With a continuously rising property prices, short supply of homes, healthy economy and growing job sector, it is a market dominated by realtors and sellers. They have the ultimate power when it comes to setting a selling price and negotiating it. The home price evolution within the last few years and the experts’ predictions suggest that the prices will continue to grow, hence turn this area into one of the most attractive markets in the country. Over the last years, the real estate market has suffered significant changes. It no longer offers the security of a positive financial result. Now, investing in residential real estate is a science, one that requires extensive knowledge of the market’s evolution, influential factors and risks. Only those who dedicate their time to researching the market and available properties can still be sure about gaining from their investment. Homes prices interest rates are lower so if you have the necessary tools and information for completing a successful purchase of a residential real estate then odds are that you will profit from this investment decision. Find out what residential property you actually afford to buy. The first thing one should do before starting the process of finding a house is to go through a very extensive and inclusive research phase. Also, a buyer should never purchase a residential real estate that he can’t afford as this may turn out to be a disastrous decision. This is why it is recommended to perform a detailed evaluation of his expenses and income. Before choosing a property you should know exactly what the mortgage value you afford to pay is. Before getting too excited about buying a house you should discuss with a residential lender and find out if you qualify for the necessary loan. There is no point in starting the investment process if you can’t barrow the much needed funds. Usually, a monthly mortgage payment can’t exceed certain percent of your monthly gross income. Please note that the gross income represents the monthly income prior to any paycheck deductions or taxes. What is the total debt ratio? Another thing you must know before going through with a residential real estate investment is to calculate your total debt ratio. This is calculated as a ratio between your total debt payments and your gross income, and it shouldn’t exceed 36%. The lower the interest rate of a loan is, the lower the overall monthly mortgage payment will be. This means that if the interest rate of the loan is low then the buyer may afford a higher priced residential property. Any residential lender must consider a couple of costs that even though do not affect the purchase price; they have an important impact on the homeowner’s bank balance. These costs include the insurance premiums, the monthly maintenance costs and other taxes. The purchase of a house means thinking about the future. Anyone who decides to buy a residential property needs to understand that this investment may represent a significant setback. You should really consider if your lifestyle allows you to take such an important step as you don’t want to find yourself in the situation of having to sell the house after a couple of years. Before making such a long term investment you should consider numerous factors. Some of the most important things you need to think about are the preferred location, the size of your family, your career expectations, possible income downsizing and climate preferences. Also, before buying the residential property you should consider how you will be using the house. Of course, when you are buying a house you need to consider the size of your family. If you are married with four children then there is no point in searching for a two bedrooms flat. Just as buying a property that is too large for your needs means a financial drain. These are free-standing buildings that don’t share walls with other residential properties. These are residential complexes that include two different homes with common walls and only one legal title. These are commonly known as condos and represent apartment properties located within the same building or complex. The units are owned by individuals and the common spaces of the property are jointly owned. These are a group of homes such as one or more apartment buildings that are owned by a legal entity where co-op residents own shares. Usually every shareholder has its own lease agreement with the co-op and there is also a set of rules that offer tenure for its residents. Always when you are looking for a new home you should consider the location. There are several crucial aspects that you need to think about before choosing your dream house. For instance, the residential property shouldn’t be too far from your work otherwise you will be spending most of your day on the road. You should also find out what are the important details about the neighborhood like the shopping centers, grocery store, schools and hospitals nearby. Neighbors, air quality, costs of living, local tax rates and utility rates are also other crucial things you need to consider. Some type of jobs like local government employee or police officer mean that you will work in the same place for a very long period of time while if you are working as a military office means that you will be relocated quite often. There are careers that are more flexible and portable than others like auto mechanics, writer or IT technicians while others like a manufacturing plant worker are very difficult to relocate. When you are moving from a country to another you should also consider the climate. For instance, the weather from Europe is very different than the one in Thailand or Africa. When you have a family it is essential to think about the consequences that weather will have on your life style and health. Before paying for a new house you should carefully check the condition of the home that you want to purchase. Are there any termites? Is the roof leaking? Are there any problems with the electrical system? All these problems imply huge costs that will add up to the price you have paid for the house. The best solution for this problem is to hire a professional inspector who will run a complete review of the property and will tell you the additional costs it implies. You should also have a talk with the seller of the real estate agent before buying the house. By making a list with the most important 10 questions you will know exactly what to ask. Public records should also be checked for determining the legal ownership of the property, the taxes owed, the loans on the property and the claims against the property by debtors. Any such issues need to be discussed with the seller prior to purchasing the house. When buying a property for investment you need to consider a few things. Most of the things mentioned above become irrelevant if the house is purchased for investment purposes and not for living in it. In such case, the actual concerns are cash-flow related. For instance, the investor should find out what is the rent price that is able to produce a reasonable profit and cover the costs. What are the odds for the property’s value to decrease or increase? Are vacancies a rare or a common thing? Also, rental properties located in lower income areas mean more repair works, the tenants usually stay for short period of times, are subject to vandalism and are more difficult to resell. Prior to closing on a home, in the case of the fixed-rate mortgages the interest rate is set and for the term of the loan the rate does not change. The majority of banks will allow you to decide on a favorable interest rate with a couple of months before signing the loan contract. When interest rates have the tendency to rise, you should lock the rate as soon as possible. Of course, there is a fee applied for this option. Another thing you must know is that an adjustable rate mortgage implies a lower initial interest rate as compared to a fixed rate mortgage, but the downside is that its percentage usually fluctuates during the term of the loan. Depending on the rise of the prime lending rate, the bank can raise the rate. Normally, there is an adjustment period that is essential for determining the frequency of the rate change. The adjustable rate mortgage has an interest rate cap that features a maximum value. The loaner has the free option of choosing an adjustable rate initially and changing to a fixed mortgage afterwards. One of the best ways of finding a new house is the Internet. The online market is full of ads from real estate agencies or landlords who are looking to sell a residential property. You can narrow down the results by selecting filtering criteria like the location, size, the type of property and price. Before you close a residential real estate purchase, there are some very important details that you need to consider and these usually are- the nature of the bids in auction-style ads, the price and insurance. This is why we advise you to read with great attention all the item listings and to ask the seller all the questions you have about the property. Before closing the deal, you should always run a detailed background check on the seller and the house. Read the description of the property very well and ask the seller about all the concerns you have regarding the house. In some countries or states, the seller may have the obligation of providing a specific disclosure statement. Find out what are the seller’s terms, what forms of payments he accepts, what are the requirements and guarantees he offers. Find out what are the costs involved with signing the contract that should be paid by you. Below there is a list of very important questions you should ask yourself. Am I bidding on a down payment or on the full price of the residential property? How clear is the title? Is it free of easements, liens or other responsibilities? If the title isn’t clear then what are the responsibilities related to this property? Is it possible to get title insurance at my own expense? Are there any codes, covenants or restrictions on this residential property? What is the type of deed? In order to feel positive and secure about buying a residential real estate property you should research your seller. The Internet offers countless possibilities for this. Run a quick search on Google by phone number, email address, by the name and location of the property and you will see the other websites where this offer has been placed or if the seller has other ads for other properties. Usually, the pages that host these types of real estate offers use a seller rating system which allows you to see if other buyers were happy with the services provided, and obviously is the seller is trustworthy. Buying residential real estate isn’t an exception when it comes to running you researches. As with all major decisions, you need to know as much as possible about the property you are considering buying and also about the seller. One of the best solutions for knowing everything and getting the best advice possible is to hire an experienced real estate broker that will help you negotiate, get full information on the transaction and to close the deal. Depending on your investment goals and personal circumstances, you may need to use a tax advisor or an attorney. Never pay a seller before you sign the contract. The payment must be done when you both sign the agreement and close the deal. Usually the contract also mentions the form of payment used for purchasing the real estate property. As buying a home means a large amount of money, normall these types of transactions are completed through banks- the buyer wires the money from his account into the account of the seller. Rarely, a residential real estate purchase is completed with cash. Buying residential real estate is a very important investment decision and it implies numerous things that need to be considered. The type of household, its size, the location, the neighbors, its tax situation, the condition of the property and the price are just a few of the essential details that you must analyze before completing the transaction.